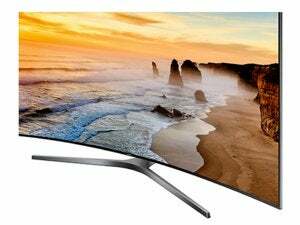 This large-screen 4K UHD smart TV has a super-responsive interface, and the picture is surprisingly rich given the absence of quantum dots. 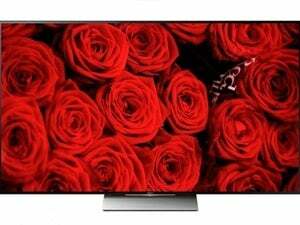 LeEco’s 65-inch class Super4 X65 TV impressed us with its rich and accurate color, which is far closer to the picture quality of the more-expensive Sony X930/940D series than other TVs in its $1400 price class. Additionally, action sequences were smooth, the remote is our favorite flavor of minimalist, and we also quite liked the way the TV looked sitting on our test bench. The Super4 65X is thin: It's less than an inch thick for the top 55 percent or so, deepening to approximately 2 inches at the bottom where the electronics and speakers are located. Close to the wall, hung using a standard VESA mount (200mm by 200mm or 400mm by 400mm varieties are supported) you’ll have few aesthetic complaints. All told, the 65.5-inch, 3840x2160 display is fit into a package that’s 57.3 inches wide, 36 inches tall, and weighs 62.4 pounds naked (about 64 pounds with the two feet installed). The Super4 65X's components reside at the bottom of the TV, rendering it quite stable on a flat surface. It also fits close enough to the wall with a mount that even fussy decorators won't take issue with. Most of the Super4 65X’s ports are found in a recessed cavity on the right side in the back of the TV. They include one USB 2.0 port and one USB 3.0 port; gigabit ethernet; three HDMI 2.0a ports, one of which supports ARC (Audio Return Channel); RCA and Optical S/PDIF jacks; and an A/V input that accepts both stereo analog audio and composite video via a three-cord adapter cable.A coax antenna input supports the onboard tuner. Finally, there’s a mini-stereo audio input jack and VGA port for hooking up computers that don’t support HDMI. 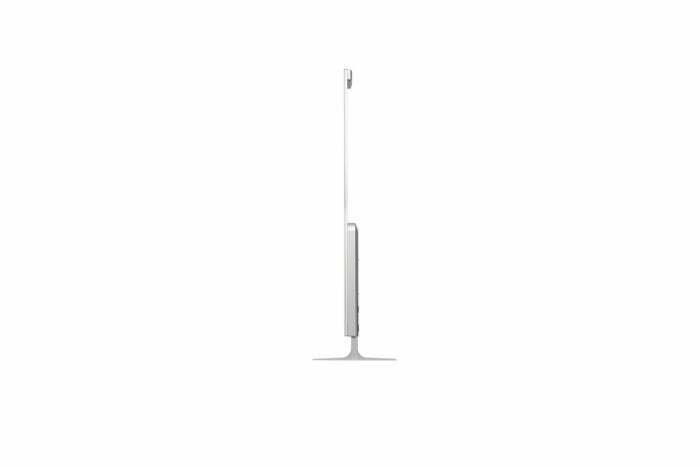 Wireless connectivity is via an 802.11ac adapter and a Bluetooth 4.1 radio. The latter handles the remote, which has a pairing button inside the battery compartment. 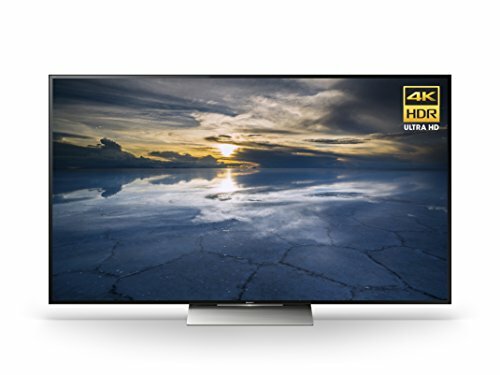 The world of 4K UHD TV is rapidly evolving toward HDR (high dynamic range), and it's a feature that needs to be discussed in every 4K UHD TV review. Because once you see HDR, you’re going to want it. LeEco markets the Super4 X65 as an HDR10 set, and it does show off HDR content to a limited extent—there is a definite uptick in contrast between bright and dark areas. Relatively low peak brightness, however (we measured 365 nits), leaves the Super4 X65 robbing Peter (detail in dark areas) to pay Paul (the HDR contrast effect). Indeed, in a number of movies, dark areas lacked detail to the point of distraction. With SDR (standard dynamic range) material, on the other hand, there’s little to complain about: The color is very good. It's not quantum-dot quality, but it's up there with, and similar to Sony’s X930D (the Sony produce 500+ nits and performs much better with HDR content than LeEco's panel). The motion compensation is also very good. There was the occasional minor shimmer in detailed panning shots, but by and large, fast action and panning sequences were rendered smoothly. The sound emanating from the TV is a bit muffled, not surprising given that the speakers face backwards. You’ll do better mounting or positioning the Super4 65X against a hard reflective surface than we did with our absorptive curtain. But no matter where you situate it, this TV will benefit greatly from a soundbar or audio system. Supported audio formats include straight Dolby Audio. 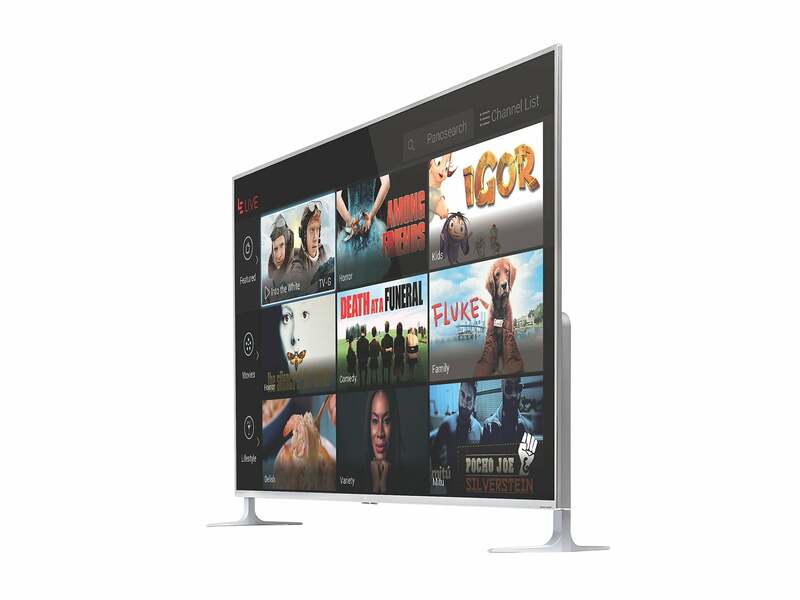 The Super4 65X is a good-looking TV in our book. Then again, most TVs are these days. Probably our favorite thing about the Super4, aside from the color and nice motion compensation, is how responsive the user interface is. A lot of TV’s tout the X-this-or-that processor they carry onboard, yet still feel sluggish when you’re browsing menus or launching apps. We never got that feeling with the Super4 and its ARM Cortex CPU. There’s little to no lag when accessing menus, scanning channels, tweaking settings, and so on. It feels quick. And quick is good. The Super4 65X also rendered nearly all our test videos without a hitch, even 60-frames-per-second HDR files. Most 4K UHD TVs will play the files with an occasional hiccup that tells you the CPU/GPU is straining. The ARM was nigh on perfect. The Android TV interface the Super4 65X offers seems to have finally matured. 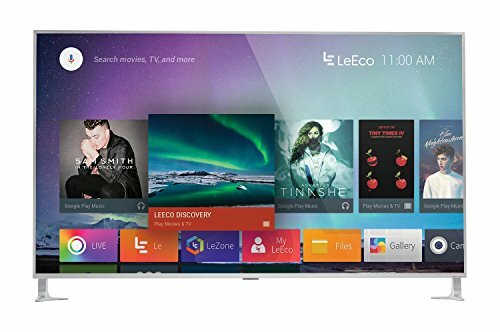 The crashes we used to seeing on Sony TVs are gone, and it feels quick on the LeEco. But the video app still enumerates files on USB mass media that it shouldn’t, and scrolling and working your way through the Android settings app is a pain. Thankfully, LeEco puts its onscreen settings in a dedicated and slick menu that pops up on the right side of the screen. It requires nothing more than the Enter and Back buttons to navigate. Sweet. Sadly, it darkens the entire screen somewhat so you can’t see the actual results of your tweaks until you exit. Also available via a dedicated button on the remote is Le (the home button takes you to Android TV) which is basically a more elegant browsing environment for all sorts of live and streamed entertainment. It’s part of what LeEco calls the Ecosystem User Interface, or EUI. It’s slick, and we preferred it to Android TV, though we’d prefer everything brought under one roof even more. We like the layout and button set on the Super4 65X remote. Note that this is the author’s quick snapshot, not company artwork. The Super4 65X’s remote, shown above, is one of our favorites. It’s minimalist, but not stupidly so; i.e., forcing you to navigate menus for simple things like skipping a chapter or changing the volume. The only thing that would make it better is an LG-like free cursor to provide random access to the many icons in both Android TV and the Le interface. There’s a lot to like about the Super4 65X. We’d rate it just below the Sony X930D we recently reviewed, a TV that costs several hundred dollars more. For standard dynamic range material, which still comprises about 99% of what’s available, it’s right on. And yes, I just said right on. A very nice TV for the price, rivaling Sony's 940C and -D series in terms of color, but its low peak brightness doesn't allow it to render HDR10 as well.